Clump #51: Empty out yet another box of keepsakes. If not for the power of this 30-day, 30-clump, 30-post challenge, I would honestly put off going through this box for … forever, really. To tackle it, I have to make difficult, heart-wrenching decisions. My inner two-year-old has been whining at the thought of going through it all day. But I don’t want to! 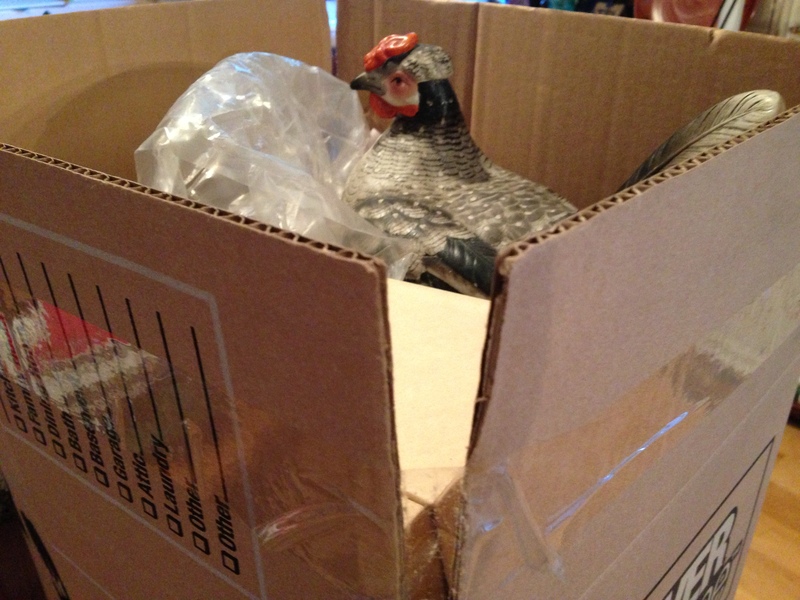 The hen is a family heirloom. My mom always had a thing for hens, and this one would sit in the center of the table at Easter, surrounded by our dyed eggs. 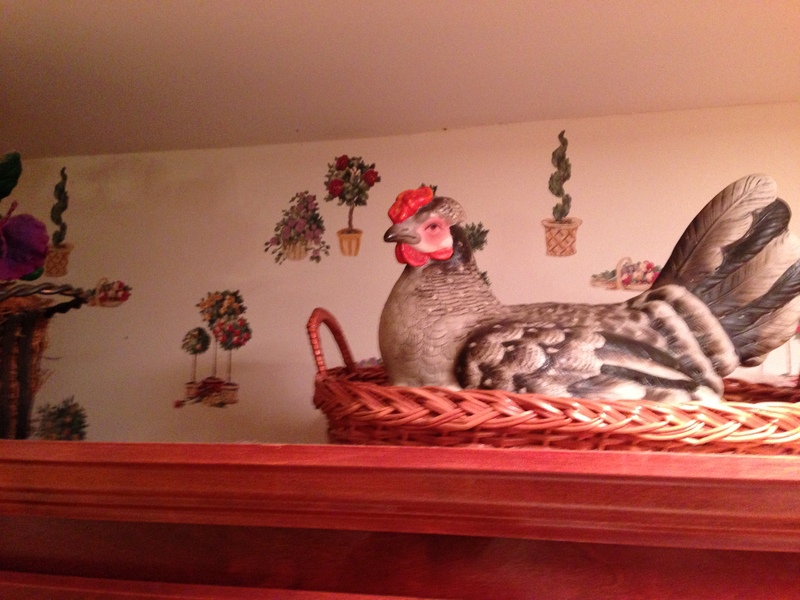 I put the hen on a basket and let it roost on top of our kitchen cabinet. She seems content there. 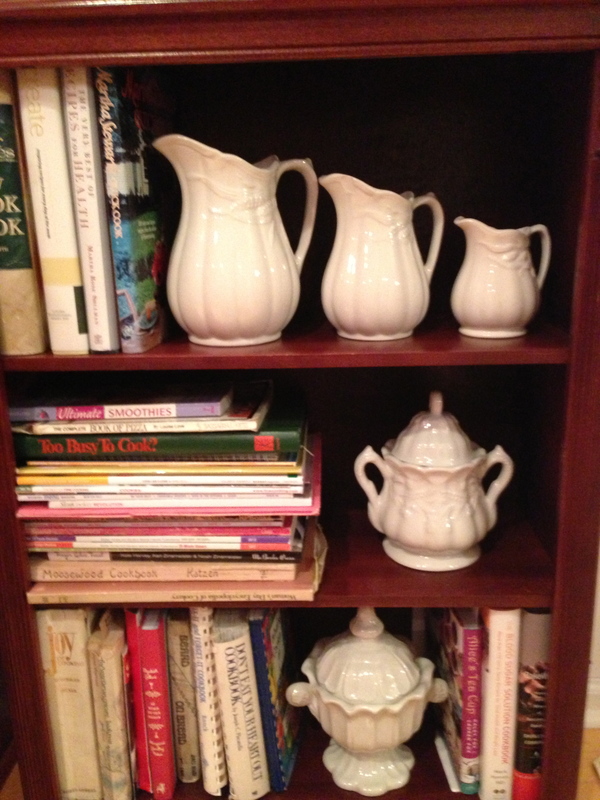 I had to reorganize a bunch of cookbooks to fit the pieces in. 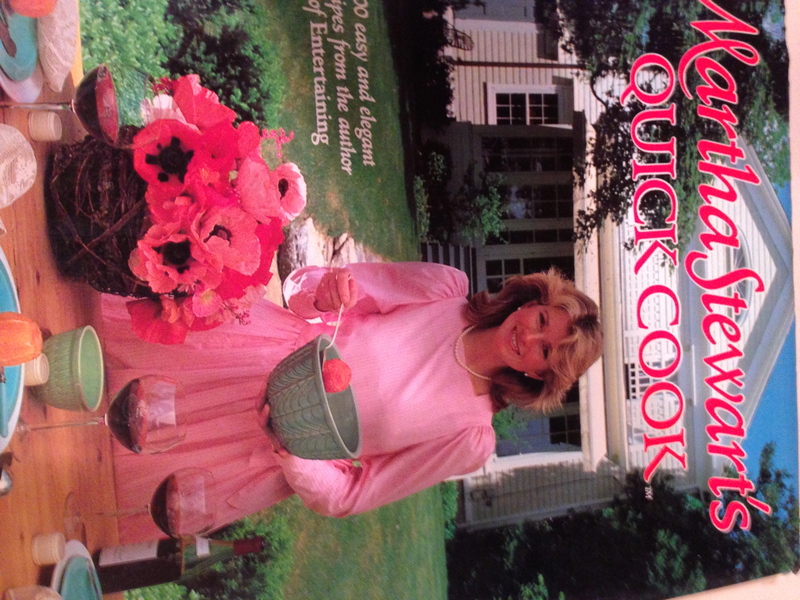 One of the books was given to me by a dear friend for my wedding shower. I love the book, but, wow, Martha — we were so much younger then! 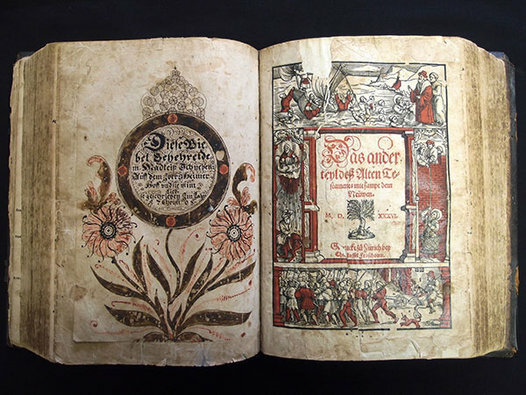 Pennsylvania First Lady Susan Corbett was quoted as saying, “These artifacts tell us who we are and where we came from.” The same thing applies as I decide which tangible pieces of our family history to save and which to let go. 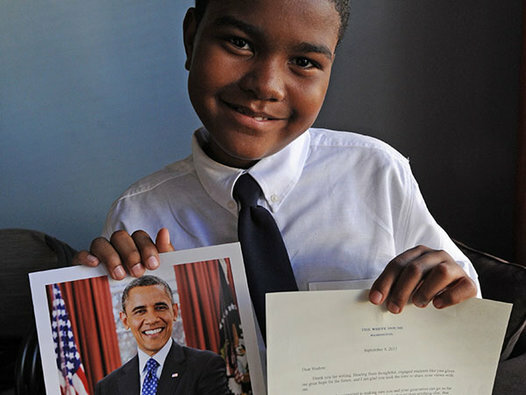 Ironically, on the same page as the article about endangered artifacts, there was a poignant article about a ten-year old boy who was so unhappy with his school in Philadelphia that he wrote a letter to the president. He was upset after a year with a frustrating teacher. “Still, he enjoyed gym, art, and music classes. Watching the news on TV over the summer, he learned that those extra subjects were being cut back in the troubled school district.” He went to the top for help in getting into to a better school. Unfortunately, crowdsourcing efforts will not fix the Philadelphia school system. Our choice of what to keep and what to let go, what to fund and what to cut, does say a lot about who we are and what we value.